Yesterday, I did not buy a lot…but I did see a few deals that I could not pass up, like this classic white french cuff spread collar dress shirt by Ralph Lauren for $9.99. This izod gingham check spread collar dress shirt was also $9.99. Izod made this one with a lot of access material, so I will have to go and get this shirt fitted to avoid the popsicle look (more to come on this topic). Rose spread collar dress shirt was also $9.99. This beautiful dotted bow tie by Ralph Lauren was only $14.99. There are many more great deals in the store and if you are on Belk’s email distribution list, then you have access to multiple coupon offers that makes this sale event even sweeter. 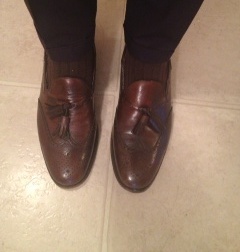 Wingtip slip-ons with the tassels are by Florsheim. 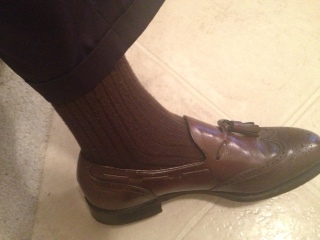 Chocolate ribbed dress socks are from J.Crew. 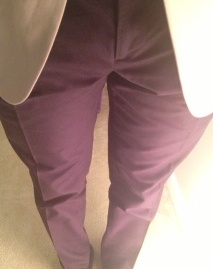 Purple slim fit dress pants are by Burberry. Love these pants!! 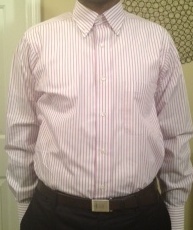 Purple striped button-down dress shirt is made by IZOD. 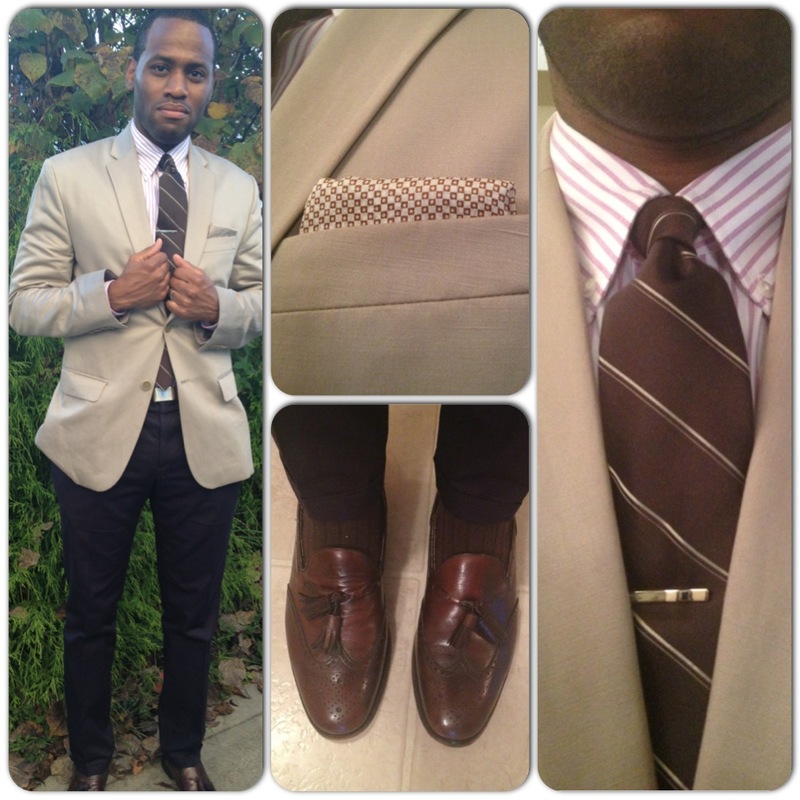 Chocolate striped necktie was a thrifting find. 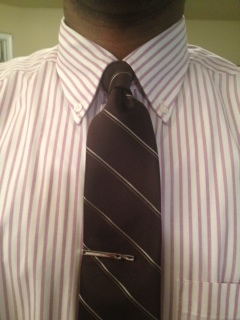 Tie bar is from Kenneth Cole. 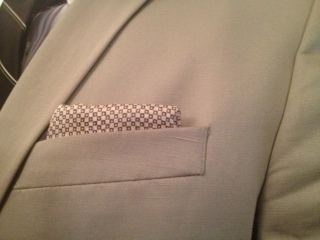 Tan suit jacket with notch lapel and center vent is by Calvin Klein. Silk pocket square was a thrifting find.